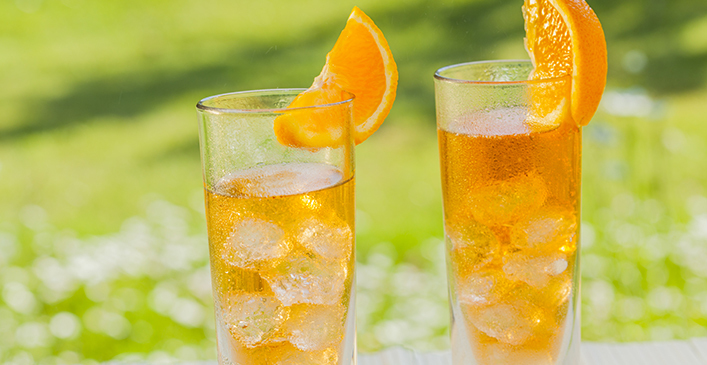 Juice spritzers are refreshing and fun. You can experiment with different fruit juices to change the taste and adding vodka gives a spritzer extra zip. Pour pineapple juice over ice. Add vodka and stir slightly.